We serve job seekers in all fields and at all levels, from students and entry-level candidates to senior executives with six-figure compensation packages. As a comprehensive career services firm, our aim is to provide you with services that will make an incredible impact on your exposure, earnings, and confidence level. Our leading-edge methods have penetrated gatekeepers during the most challenging economic climates. We are heavily networked throughout the executive recruiter communities. Specializing in Executives and Managers in Information Technology, Engineering., Logistics, Purchasing, Marketing, Sales, Accounting, Finance, Manufacturing, Communications, Law, Real Estate, Insurance, Environmental Health & Safety, Security, Retail and Hospitality. I am a Certified Professional Resume Writer, Certified Job & Career Transition Coach and Certified Employment Interview Professional. Over 35 years in career management, executive recruiting, and candidate job search coaching. 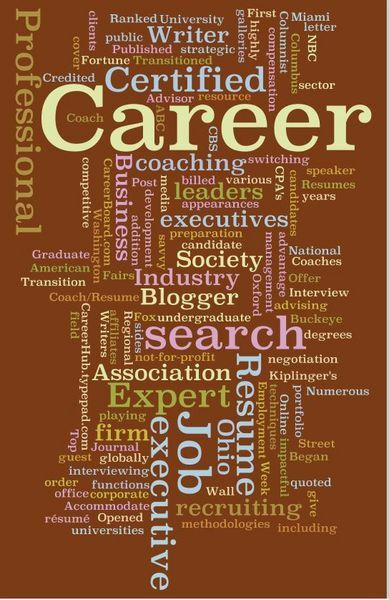 Ranked in Top 10 Industry leaders by Professional Association of Resume Writers & Career Coaches. Accommodate clients globally. Opened Buckeye Resumes office in 2005. Began as executive recruiting firm and billed over 270 of the Fortune 500. Transitioned into executive job search coaching firm, switching sides of the playing field in order to give candidates competitive advantage. Offer impactful résumé, cover letter and portfolio preparation, development of highly strategic search methodologies, and savvy interviewing and compensation negotiation techniques. Credited with advising industry leaders in addition to public sector and not-for-profit executives. Business First of Columbus, Career Columnist Ohio Society of CPA's, Career Coach/Resume Writer CareerBoard.com, Job Search Expert & Blogger CareerHub.typepad.com.,Blogger National Career Fairs, Regional Career Expert American Society of Association Executives, Career Advisor Numerous media appearances including ABC, NBC, CBS and Fox affiliates. Published in 11 resume galleries, and guest speaker at various universities and corporate functions. Expert resource quoted in Kiplinger's, Business Week Online, Wall Street Journal and Washington Post. Graduate and undergraduate degrees from Miami University, Oxford, Ohio.